On April 23, Manhattan’s Curtis and Ginsberg Architects filed four permits with the city’s Department of Buildings (DOB) to construct two 13-story buildings, one 17-story building and a four-story parking garage at 62-27 108th St. in Forest Hills. 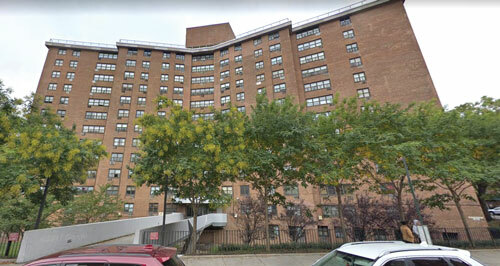 Last year, the co-op board at the location moved to privatize since NYCHA could no longer fund the renovations needed for the buildings. After the renovations, the three buildings will have commercial spaces on the first floor, and the rent from the commercial spaces will continue to offset the rent and pay for repairs in the units above. Between the 17- and 13-story buildings, there will be 40,590 square feet of commercial space, while residential space will encompass 785,792 square feet, according to the DOB’s database. As of Wednesday, the permits had yet to be approved.